ALBANY – Zoe E. Conley Bopp, 76, of Albany, died Friday, December 11, 2009 at St. Peter’s Hospital. Mrs. Bopp was born in Troy, and lived in the Capital District all her life. She was a graduate of Vincentian Institute. She was employed by the Academy of the Holy Names Arts Center, by St. Peter’s Hospice Home Care, and she retired from the Albany College of Pharmacy. She later worked for the Albany Roman Catholic Diocese Pastoral Center. Mrs. Bopp is survived by her loving husband of 55 years Leonard P. Bopp; her children and their spouses Cynthia McLean (Bob) of Albany, Michael Bopp (Linda) of Guilderland, Thomas Bopp (Liz) of Randolph, NJ, Judith Campisi (Daniel) of Wilton, CT, Daniel Bopp (Wendy) of Kinderhook, James Bopp (Jane) of Brunswick, and Lisa Meurs (John) of Loudonville; her sister Sr. Jeanne Conley, RSM, of Albany; twelve grandchildren, one great grandchild, and several nieces and nephews. She was predeceased by her sister Agnes Zoller, and her brothers Frank and James Conley. A Mass of Christian Burial will be celebrated Tuesday morning at 10:00 in Mater Christi Church (formerly St. Catherine of Siena Church), Hurst Ave., Albany. Relatives and friends are invited, and may call at the church on Monday from 4-8 p.m. Interment will be in Our Lady of Angels Cemetery, Colonie. Those who wish may make a contribution in her memory to St. Catherine’s Center for Children, 40 North Main Ave., Albany, NY 12203. Arrangements have been entrusted to the Hans Funeral Home, Albany. 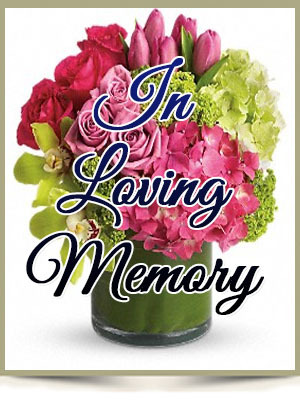 To leave a message of condolence for the family or view or print a prayer card please visit www.HansFuneralHome.com . encouraging smile. She and your family are in my thoughts and prayers. May this time of sorrow bring you peace and grace. Zoe was a wonderful person. I wish to extend my deepest sympathy for you and your family at this very sad time. Zoe was a wonderful person and will be missed by all those who had the good fortune to know her. To the Bopp family; It has been a long time since the summers I worked at the Mater Christi pool as a lifeguard and pool supervisor. My thoughts and prayers go out to you all during this time of loss. We are sorry for your loss. Zoe was always very pleasant to us and we are sure she will be missed deeply. Our prayers are with you all. We are very sorry for your loss. Our thoughts and prayers are with you at this sad time. Forever cherish your memories, for they will never fade. Please be assured of a remembrance in my happy thoughts and prayer. Death is never a welcomed visitor, and when it comes at a Holy/ Holiday time it stings more. Know that the promise of Emmanuel is now Zoe’s as she takes her place in the Communion of Saints. I hold fond memories of our time together at Mater Christi Seminary. My sincere regrets to all of of the Bopp kids and your Dad. What a wonderful legacy your Mom has left with all of her children and grandchildren. I hope your warm memories of her overshadow the sorrow you feel now. I think of all of you often. I was so sorry to hear of the passing of your mother. Although I did not know her, I am sure she was a wonderful person as I have known her son to be. My thoughts are with you.